January 2019 Rising Stars founder Paul Savramis announced that the Rising Stars Youth Foundation’s basketball programs were invited to represent the Under Armour brand in New York and participate in its up-and-coming basketball tournament circuits for teams from the eighth grade through high school. Here, the youth organization’s founder answers a few questions about the opportunity. Q: What is the Under Armour Circuit and why is it important? Paul Savramis: Under Armour is famous for its athletic wear and shoes, and is one of the leading manufacturers of team uniforms in the world. Like Nike and Adidas it competes for the ever growing market of youth basketball. These sneaker circuits are now considered a must for all the top teams to be invited to and are a focal point for college coaches to see and evaluate Players. The big three sneaker brands have dominated the summer basketball scene for years and if a program wants that exposure they need to be a part of a circuit. Q: Which Rising Stars Youth Foundation teams will join circuit play? Paul Savramis: Currently, our fourth through eighth-grade boys teams are slated to compete in the Under Armour “Future Stars” Circuit. High school teams, both boys and girls, have been selected for the UA Rise circuit. Q: Why is being appointed to the Under Armour Circuit such an Honor for Rising Stars? Paul Savramis: Any time your coaches and players are recognized is an honor. The partnership with Under Armour provides a new opportunity for our athletes to compete at a high level, and to potentially impress college coaches and recruiters. Over the years, we have helped many kids achieve their dreams of playing basketball at the high school, college, and even professional level but it becomes easier with getting national exposure. 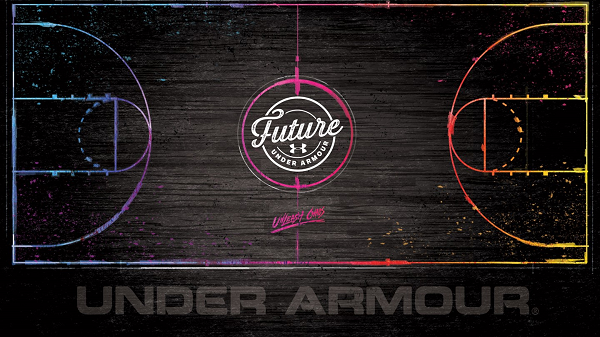 Our involvement with Under Armour will make that possible in the future. Q: How many other organizations will represent New York in the Under Armour circuits? Paul Savramis: Right now, we’re one of only a very few organizations chosen by Under Armour in the state. We’re certainly proud of that, but even more proud of the boys, girls and coaches of RSYF who have worked so hard to make it all possible.